WHO BROUGHT IT TO EUROPE ? ! Scientists have discovered the presence of several giant, tropical ticks with striped legs in Germany. They can carry some nasty diseases and researchers worry they are here to stay. German researchers have discovered several tropical ticks living in the country and are worried by their presence. Scientists registered a total of seven specimens of the genus Hyalomma in Lower Saxony and Hesse this year, the University of Hohenheim and the Institute for Microbiology of the German Federal Armed Forces in Munich announced on Tuesday. Only two tropical ticks have been found in Germany before, one in 2015 and one in 2017. The researchers fear that the ticks may become a permanent feature in Germany as temperatures rise. Their presence was put down to the hot, dry summer in Germany, as they prefer a lower humidity than the ticks usually found in this country. There are approximately 900 tick species across the world. The eight-legged crawlies are not insects, but rather belong to the Acari, which also include mites. They live in shrubs or grass and are just waiting for a bloody meal to walk past. 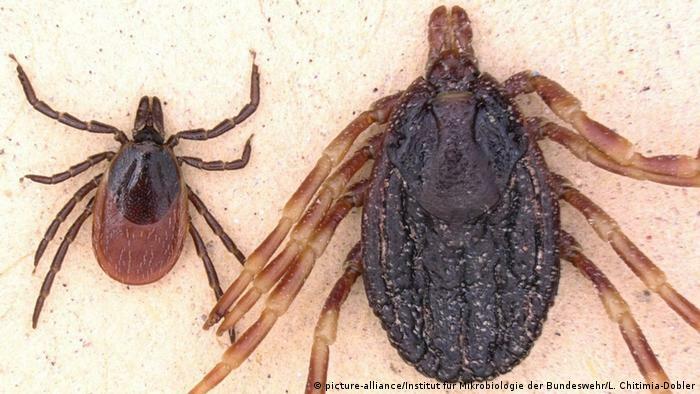 The most common tick in Germany is the castor bean tick (Ixodes ricinus). The Hyalomma ticks can grow to as long as two centimeters (0.8 inches), substantially larger than the local common wood tick (Ixodes ricinus). They can be recognized by their unusual size and their striped legs. The ticks were all found on farm animals, mainly horses. This is because horse owners tend to come into close contact with their animals when grooming them. One specimen contained a dangerous bacterium, a known pathogen of tick-borne fever. Hyalomma species can also carry Crimean Congo fever, which has not yet occurred in Germany. The tropical ticks found this year belong to the species Hyalomma marginatum and Hyalomma rufipes. They were probably introduced via migratory birds. 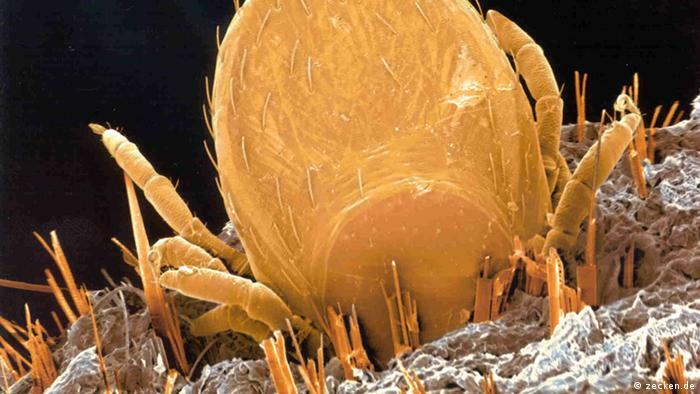 Experts have warned people to expect more tick bite diseases this year, with a mild winter, warm spring, and hot summer providing good breeding conditions. Clothing and tick repellents are the only effective preventative measures against ticks. ANGELA MERKEL YOU ARE RESPONSIBLE FOR THIS !!!! This entry was posted on August 23, 2018 by HKW in Germany, Uncategorized and tagged African ticks, Europe, Migrants.